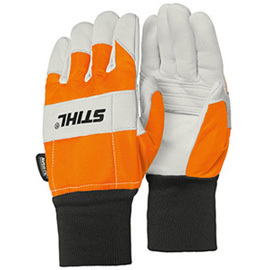 ECONOMY glove high comfort level. Chain saw protective. Full leather-textile combination and elastic knitted cuffs to prevent dirt or chips. Cut Protection in two backs, e.g. for work in arboriculture.